You've seen Prime Suspect, Well here's how Tennison got started. Tennison is the starting point in the career of Tennison. This book is about what happens before Prime Suspect, this book is about how Tennison started off in the police force. 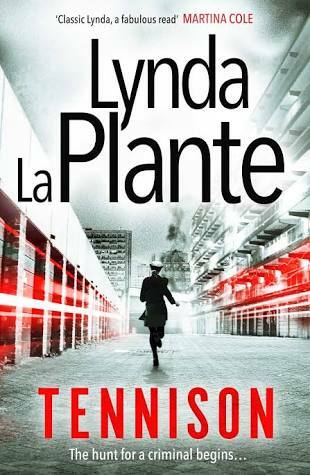 In the book Tennison is brought onto a taskforce tasked with catching a killer. Tennison also helps the team when she is called upon by someone who over hears a group planning a bank robbery can Tennison and the team catch them before they pull of the robbery? I personally haven't seen Prime Suspect, but i did enjoy this book, at first i found the book to be a bit slow but enjoyed it more once it picked up. I found Tennison as a character to be a little annoying at times, she is very timid and lets people walk all over her and talk to her like crap and that's not how i imagine and well how the police i know are like. It took me awhile to read this book as i was listening to it on audible as well. I write a bit of a mixed review here because i did enjoy the book but at the same time i found it a bit strange, The book is called Tennison yet i found the book didn't focus to much on her and found she didn't have to much involvement in the cases. So i have chosen to give this 3 out of 5 stars. I'm not sure weather i will go onto read any of the other books in the series but if i do i will of course review them as usual.